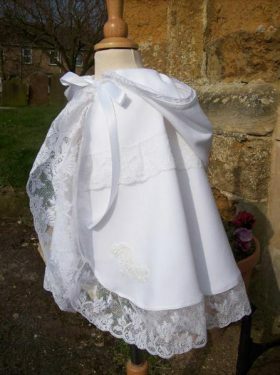 Little Doves offers a really dainty Victorian style Christening Cape. This is a perfect example of the era and will finish off any Christening Gown. 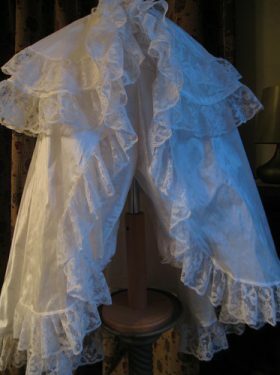 In Victorian times a baby was not fully dressed for its baptism unless it wore a cape or mantle over the christenig gown, and here we offer to you a wonderful find. 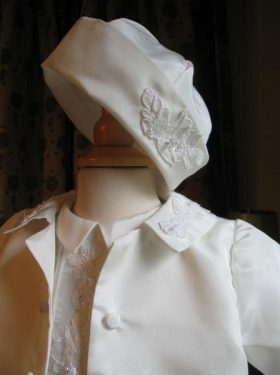 This Christening Cape is created from white cotton fabric. Vintage and antique trims are used on all capes, please note that these may vary from the photograph shown. 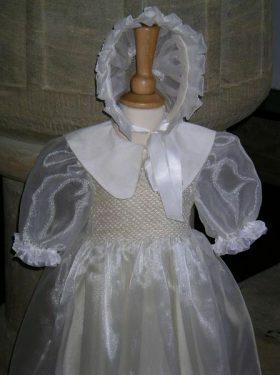 We are also able to match trims to existing antique Christening Gowns, please ask for details. This is sure to set any christening off to perfection.